I was determined to get Rwanda into the Commonwealth Contest for the first time ever but the planning was little fragile. 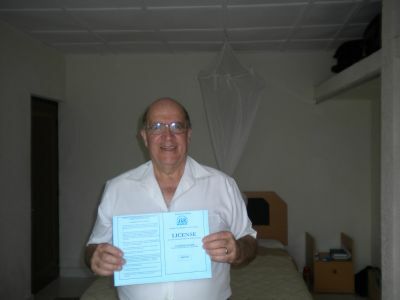 I set off to an unfamiliar African city to operate from a guest house chosen on the internet. I had official confirmation of a licence but no call sign. I took everything with me even a spare rig. I travelled via Kenya and Burundi where hilariously some of us had to get out of the plane to run across the tarmac and prevent other passengers entering the wrong country (Oh I thought it was Rwanda). Actually it all went well. The Guest House proved a winner with a good location, free choice of rooms and the offer of a spare flag pole. Electricity was always available, apart from the odd cough which caused everything to trip out. The licence was forthcoming without any problems (although rather expensive). By lunchtime on my second day 9X0NH was deeply into the first pile-up. 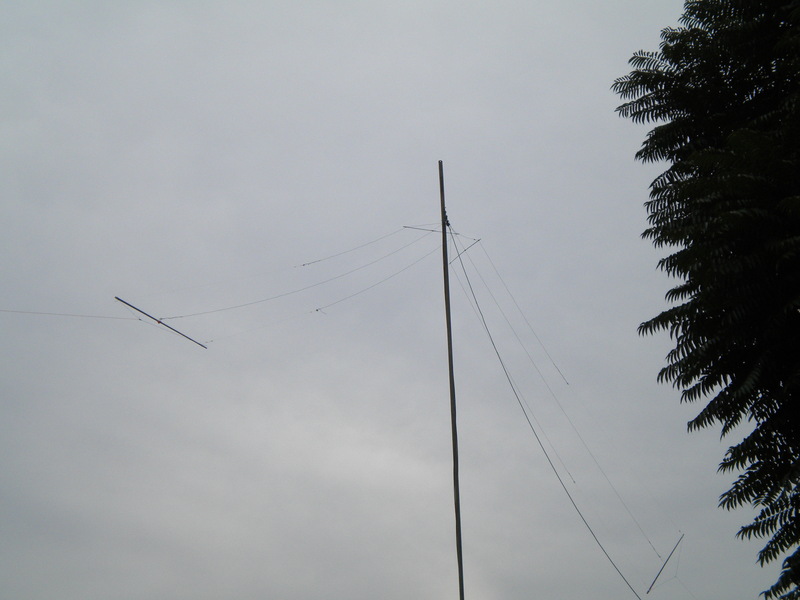 Most of the time I used an inverted v dipole at about 40 feet with links for each band. The mast is very home brew � 24 feet of aluminium sections with a fishing pole lashed to it with jubilee clips. It doesn�t look beautiful but it works and fits in my luggage. For the contest I added a three band fan dipole (on the flag pole) for quick band switching, and a 40m fishing pole vertical. My much-travelled K3 was reliable as ever. Conditions for the contest were well down on where they had been two days earlier � possibly peculiar to East Africa. Although 15 and 20m were consistent, 10m was very poor on Saturday. 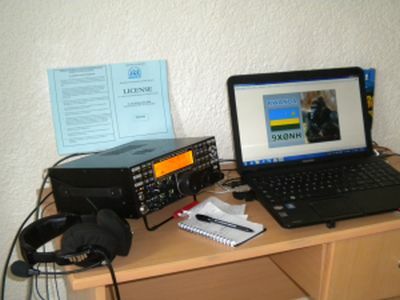 However it opened well on Sunday morning allowing QSOs with all those great UK dipole in the roof space stations � well that�s what they sound like! The biggest disappointment was 40m which failed to produce decent results. The path to North America was not good and there was a dearth of UK stations in Saturday night. I confess that I had no hopes for 80m having been disappointed at the effort:outcome ratio in the past. However I am pleased to have 5H3EE in the log on that band! QRM from those determined to work 9X at any price was actually quite bad. I recall one strong Italian station stayed with me for over an hour, calling every time and on top of everyone one. Polite and slow explanation totally failed. He was not alone. 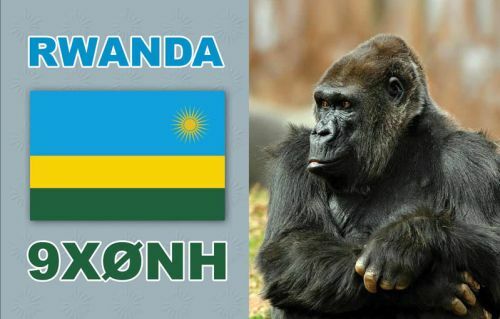 I also discovered after the contest (having no instant internet access) that Wintest had not been amended to add Rwanda to the Commonwealth (in 2009!). That was a disappointment. My aim was to work as many stations as possible � rather than a more tactical approach to achieve score maximisation! That probably shows but I hope a lot of fellow amateurs will have been pleased to work the newest Commonwealth nation – Rwanda.